Kolkata-based Alliance Broadband has rolled out new high-speed internet packs that offer speeds as high as 1 Gbps. The company has launched amazing offers for both personal and commercial internet users. The company has divided the plans into two types: Truly Unlimited Plans and Fair Usage Policy Plans. 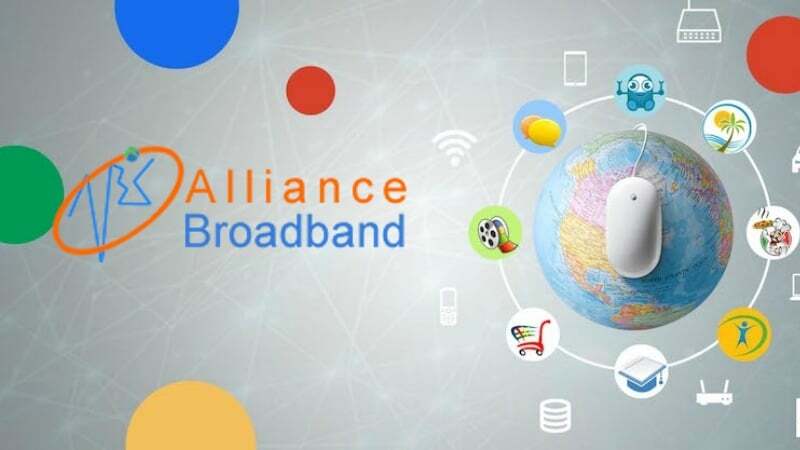 Also, Alliance Broadband joins the list of few Internet Service Providers which offers a 1 Gbps broadband connection, after ACT Fibernet and Spectra. But the monthly rental of the 1 Gbps plan is on the steeper side. Let’s take a look at Alliance Broadband’s new broadband plans. Currently, Alliance Broadband has nine broadband plans as part of its Truly Unlimited packs offering speeds ranging from 60 Mbps to 1 Gbps. The exciting thing is all of these plans come without any FUP limits meaning you can experience the internet without any hiccups. The topmost plan from Alliance Broadband is the Gigablast Plan that comes with 1Gbps/1024 Mbps speed for unlimited downloads and uploads without any FUP limit. It offers real high-speed internet perfect for streaming HD videos and online gaming. The Gigablast pack costs Rs 13500 for the validity period of 30 days. Then there is the Innovator Plan offering 500 Mbps speed at Rs 7000 for a period of 30 days. The next in line is the Alliance’s Flash+ which gives users unlimited internet access at 200 Mbps and is priced at Rs 2600. The Speed+ and Premium+ Plans come with 150 Mbps and 120 Mbps speed and cost upwards of Rs 1500 and 1150 per month. The Preferred+ offers 100 Mbps speed and can be availed at Rs 850 per month. As part of its basic plans with speeds less than 100 Mbps, Alliance Broadband has three packs namely Prime+, Zoom and Starter. Prime+ offers 80 Mbps speed and starts at Rs 650 while Zoom comes with 70 Mbps speed and costs Rs 600. The Starter plan is the cheapest in the category offering unlimited internet at 60 Mbps speed and costing Rs 500. All of Truly Unlimited Plan comes with 30 days validity and no FUP limits. The prices of these plans, however, are exclusive of taxes, meaning you’ll have to pay more than the stated prices. These are decent broadband plans. Alliance Broadband also has come up with FUP plans aimed at SOHO or commercial users. These FUP plans come with Fair Usage Policy limits, and the internet speed is reduced after usage of specified data. Under FUP Plans, Alliance Broadband has a total of seven plans. The basic plan Stream with 4 Mbps speed and 20GB data limit is priced at Rs 300. Next is the company’s Express plan that offers 8 Mbps and 60GB data for Rs 1000. The Prompt, Surge and Brisk plans come with 10 Mbps, 12 Mbps and 16Mbps speed and pack 80GB, 100GB and 140GB data respectively. The plans are priced at Rs 1300, Rs 1600 and Rs 2100. Last on the list are the Accelerate and Agile plans which start for Rs 3200 and Rs 4000. These offer users with 24 Mbps and 36 Mbps of international bandwidth speed and come with 200GB and 250GB of FUP data limits. Alliance Broadband’s FUP plans too are applicable for a period of 30 days. Though these plans are unlimited, the post FUP usage speed drops down to mere 512 Kbps. The prices are yet again exclusive of taxes.